Air Conditioning Services in Maryland & Delaware | Atlantic Refrigeration & Air Conditioning, Inc. There is no point in denying just how necessary a great central air system really is. In order to get the best cooling experience from your system, of course, it is necessary that you schedule your Delaware air conditioning installation, repair, and maintenance services with a skilled, trained professional. This is the only way that you can know for certain that your air conditioner is going to be there for you when you need it most. Contact Atlantic Refrigeration & Air Conditioning, Inc. today if you have any questions about your Maryland air conditioner, or any concerns about its performance quality. The air conditioning experts at Atlantic Refrigeration & Air Conditioning, Inc. offer quality air conditioning services throughout Maryland and Delaware. When you have a small apartment or are just looking to cool a single room, a window unit is a serviceable, if not perfect, cooling option. When cooling your entire house, however, there is no better option than a central air conditioning. Central air conditioners give you the power to cool your entire home with one convenient system. They are far more efficient and effective than window units, meaning that you can enjoy great comfort while reducing your overall energy use. Call now to learn more about the benefits of using a central air conditioner. 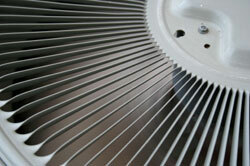 Don’t get stuck with an air conditioner that is not the right fit for your home or personal cooling habits. When you work with a member of our team, you can expect to get the information you need to choose your AC wisely. We offer a number of different air conditioners for you to choose from, and our technicians are here to help ensure that you choose the right one for your home. A central air unit is not the type of system that you can hope to install on your own. The fact of the matter is that only a skilled, trained professional is capable of completing such a service properly. Fortunately, you need only dial our number if you are looking for a trained, experienced technician to handle the installation of your central air unit. Call today to learn more about the options available to you. The installation of your air conditioner is an important step in determining the level of success with which your system operates. When you hire a trained professional to handle your air conditioning installation, you can rest assured that the job is completed properly and that your cooling system will operate effectively. You need to know that you can cool your home down, no matter how hot conditions may get outside. When the time comes to replace your air conditioner, make sure that you contact a professional member of our home cooling team. We are happy to help you find the right replacement air conditioner for your needs. No matter type of AC you decide to go with, the technicians we employ will ensure that your new AC system is in outstanding working condition. A damaged central air system is a serious issue when the temperature outside spikes. The longer you wait to have repairs completed, the more serious any resulting issues with that system are likely to be. Fortunately, you can count on us to complete your air conditioning repair quickly and effectively. Call now to schedule service. There is no better way to keep your air conditioner in great working condition than with routine air conditioning maintenance. Call a member of our team today to discuss your AC maintenance needs. We not only want to help you keep your home comfortable: we want to help you do so in the most efficient and effective manner possible. Are you interested in a more efficient and versatile way in which to cool your home? A heat pump is able to provide you with the cooling power you need, as well as a great heating performance during the colder times of the year. Give us a call if you are interested in learning more about the benefits of using a heat pump in your home. Some homeowners have reservations about using heat pumps, as the heat transfer process may falter in extremely cold temperatures. A geothermal heating and cooling system may be what you are after, then. Because such systems draw heat from the ground, while acting just like an AC during the warmer time of the year, they are a very dependable option for year–round comfort. Another home cooling system option that capitalizes on heat pump technology, ductless air conditioning allows you to cool your home without the need for any air ducts at all. Plus, you can use the same equipment to heat your home in the winter. Such systems are a great way to avoid the air quality and efficiency problems that sometimes plague air ducts. If you want the ability to regulate your home cooling and heating system with great accuracy and dependability, then you need to invest in a quality thermostat that suits your usage needs and habits. We are happy to help you find the right model for your home. Call now to discuss your thermostat options with a qualified professional. There are a few different upgrades that you can make to your central air system which can help you use it more efficiently and effectively. One of the best is the incorporation of a zone control system. With a zone control system, you have more command than ever before over the way in which you use energy when keeping your home comfortable. Call Atlantic Refrigeration & Air Conditioning, Inc. when you are ready to improve your air conditioning in Maryland or Delaware. What are you waiting for; schedule a service online or request an estimate today.